You’ve likely heard of Silk Road – the black market e-commerce hub that was shutdown in 2013 for becoming a magnet for vendors of illicit goods. But the story of its shutdown, and the investigation and trial that followed, is complicated enough that we need a guide. 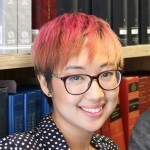 On this week’s podcast Berkman Affiliate Hasit Shah brought together members of the Berkman community to speak with journalist and legal expert Sarah Jeong about what it was like to follow the Silk Road trial, and how the justice system copes when technology becomes a central part of a case. Listeners: We need your stories! Was there ever a time you used the web to be anonymous? Have you ever had a digital alter ego? If you’ve ever used a blog or a social media account to do something you didn’t want connected to your real identity, we want to hear about it! We’ve set up a special hotline. All you have to do is call-in and tell your story on our voicemail, and we’ll feature you on an upcoming episode. (617) 682-0376. Tweet us! Subscribe to us on Soundcloud, iTunes, or RSS. This week’s episode produced by Hasit Shah with Daniel Dennis Jones.